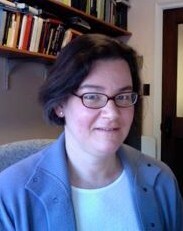 Susan Prince&39;s research interests are in the history of ancient Greek thought and literature, especially the Socratic traditions. Her primary projects are on Antisthenes and the ancient Cynics. Her teaching interests cover Greek and Roman literature from its beginnings, Homer and Hesiod, to the prose authors of the high Roman Empire, especially those who wrote in Greek. PhD, University of Michigan, Ann Arbor, MI, 1997 (Classical Studies). BA, Corpus Christi College, University of Oxford, Oxford, 1989 (Literae Humaniores (Greek and Latin literature, ancient and modern philosophy)). BA, Yale College, New Haven, CT, 1986 (Classics (Latin)). non-degree, University of Basel, Basel, Switzerland, 1994 (Seminar für Klassische Philologie). Heraclides of Pontus. Texts and Translation. “Cynicism” and “Diogenes of Sinope,” in Encyclopedia of Ancient Greece and Rome, Oxford 2010. “Anonymus Londiniensis,” in Wiley-Blackwell’s Encyclopedia of Ancient History, Blackwell. (02/25/2010). Prodicus’ Choice of Heracles and the Socratic revision of Kingship, Slavery, and Social Class. Indiana University, Bloomington, IN. (08/11/2008). Hippocrates and Other Monists in the Iatrica of Anonymus Londiniensis. Colloquium Hippocraticum XIII, Austin, TX. (03/22/2008). Starting an Ancient Quarrel: Plato versus Hippias in Hippias Minor. Plato and Platonisms, Columbia, SC. 1997-1998, Visiting Assistant Professor, Michigan State University, East Lansing, MI.